Home » General Health » Arthritis: Can You Eat Away the Pain? When we get right down to the foundation of your overall health and wellness, diet plays a big role. A lot of the time, what you eat has a direct impact on how you feel and how your body functions. But this isn’t always the case. There are some conditions that have no cure or specific diet, and, quite literally, are a pain. Rheumatoid arthritis, for example, is a condition without a cure. It affects millions, creating difficulty in their daily lives, causing pain, and limiting their ability to lead a normal life. My grandmother had horrible arthritis. I can still remember her swollen hands and knuckles and the struggle she experienced to hold an object or even get out of her easy chair. That was a long time ago. Today, we know more about the condition and how you can combat it. Now, while there might not be a specific “arthritis diet,” there are some things you can include to try and ease the pain. If you suffer from arthritis, you can supplement your current treatment by including food with anti-inflammatory properties. These foods will hopefully help to increase blood flow in the affected joints and muscles, which can help with pain control, mobility, and functionality. They offer a number of other health benefits, too! The Mediterranean diet is sort of like a blueprint for an arthritis diet, if there was such a thing. Vegetables, healthy fats, fruits, and nuts have all been shown to limit inflammation and boost overall health. Fish, for example, have omega-3 fatty acids that can help lower inflammation, in addition to two important proteins (CRP and interleukin-6) that are crucial anti-inflammatories. Try including a few servings per week in order to experience the full benefits of this food. Fruits and vegetables should also be eaten for their anti-inflammatory properties, along with antioxidants and immune system support. And the more colors you add to your plate, the better. Look for deep greens, reds, blues, and anything that has a rich, distinctive color. You can really never eat too many veggies or fruits, so reach for them as frequently as you can. Nuts and olive oil are high in monounsaturated fats, which offer many anti-inflammatory properties. A handful of nuts daily or a drizzle of olive oil on a salad, chicken breast, or veggies is a great way to increase the nutritional value of a meal while easing the pain of arthritis. 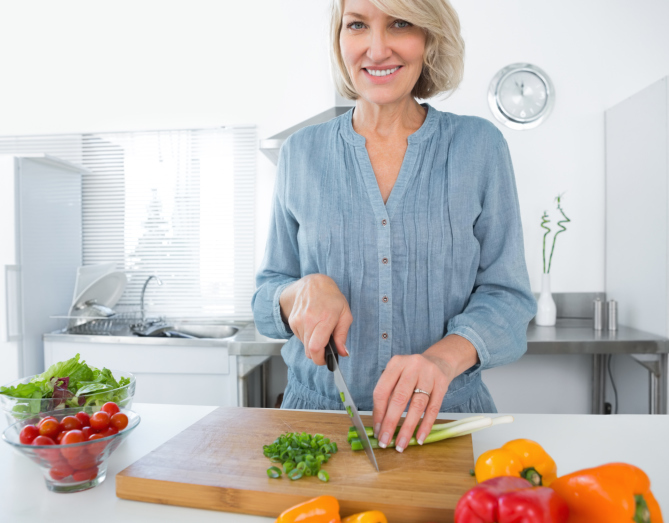 It’s important to note that although these foods have properties that can help with inflammation, it doesn’t mean they will necessarily improve your arthritis. They are not an alternative for traditional treatments or exercise; rather, these arthritis-fighting foods are a complementary treatment, something that might be able to offer additional relief. Besides including these foods, try to limit your intake of foods that increase inflammation. These foods typically feature refined sugars, trans fats, saturated fats, alcohol, milk, and gluten. “Is There an RA Diet?” Arthritis Foundation web site, 2014; http://www.arthritistoday.org/tools-and-resources/slideshows/anti-inflammatory-diet.php, last accessed May 29, 2014.